Most people assume that all solar energy panels go on the roof. That’s the most common place for solar panels, but it’s not the only place. In some cases, it makes more sense to install them elevated above the ground as an overhead solar panel canopy. These installations result in a shaded area underneath the panels. Solar canopies can be used for parking lots, walkways, bus stops, patio covers, pool awnings and other commercial overhead applications. 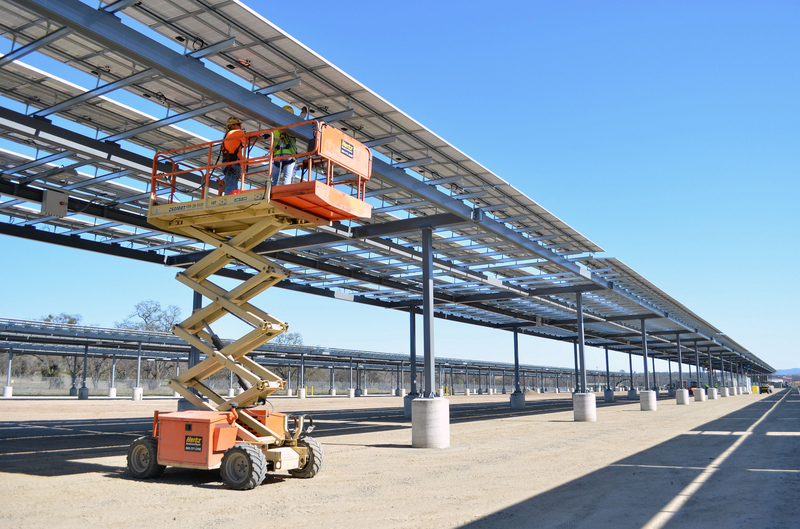 Instead of depending on the pitch and orientation of the roof, a solar parking canopy system can be installed to capture as much sunlight as possible and maximize electrical output. Solar canopy structures allow for more air circulation around the solar panels, which actually perform best in cooler temperatures. These systems are also a good option if your building's roof is too small or has insufficient sun-facing surface area, if your roof’s complex design makes it more expensive or even impossible to install solar panels, or if you don’t like the look of solar panels on your building's roof. Our structural engineers will make sure that your chosen design can handle the load and lift of the panels and will recommend reinforcements, if necessary. Our engineers will also check that the mounting system chosen is capable of withstanding the wind uplift loads in your area. Additionally, our experts can ensure that you are complying with all local permit and zoning laws. Where the panels could pose sun glare to abutting properties or roadways, BE Structural can assist with glare studies to determine whether or not the panels have the potential to affect neighboring residents. These studies will compare the projected elevations of the reflected rays to the elevations of the neighboring properties. 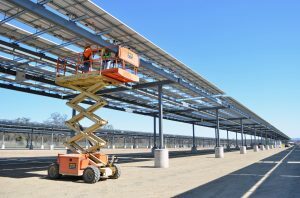 By taking these proper precautions, you can ensure that your parking lot solar canopy is correctly installed, minimizing future issues and money pits. You’ll be on your way to gaining some independence from utility companies and minimizing your greenhouse gas emissions.